In rich countries, particularly in the United States and the European Union, farmers have justified farm subsidies for decades by pointing at low world prices for food and agricultural commodities. Without these public subsidies farmers claimed they would stop farming. The production of cash crops by family farmers is an integral part of the development strategy of many developing nations. The commercialization of agriculture is encouraged by many institutions including the World Bank and experts. However, some critics contend that the production of cash crops takes resources away from food production for local consumption. Bribery involves two parties, not one. Criticizing officials in poor countries for their sticky fingers is usually easier (and less open to legal challenge) than investigating those who corrupt them. But on November 2nd Transparency International, a Berlin-based campaigning group, published an updated version of its Bribe Payers Index. News Corp claims the device, which can be used by both teachers and students, will transform teaching and learning. 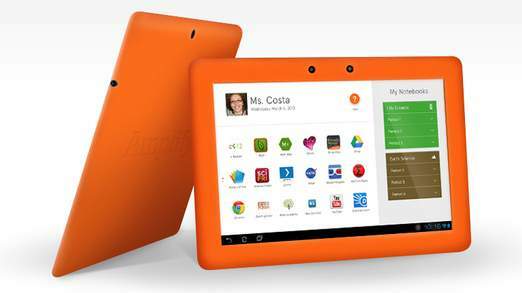 A new tablet for the classroom has been unveiled by News Corp as the battle to capture the education technology market heats up. The Android product, from Rupert Murdoch's education group Amplify, was shown at the South by Southwest (SXSW) conference in Austin, Texas. As people try to use less energy, and find alternatives to cars, more and more people are buying, and riding, bicycles. But where did the bicycle come from? Who invented this "velocipede"? . MacMillan developed his bike from an older wheeled vehicle, called a "hobby horse". This was a wooden horse with two wheels. The rider sat on the horse, and pushed the vehicle along with his feet. It was not a very fast or safe vehicle, since it had no steering and no brakes.